The Polycom SoundStation EX brings the SoundStation product to the next level with two extension microphones included. The SoundStation EX includes a standard analog phone line with extension microphones, and is recommended for 7-10 Participants. The Polycom SoundStation EX brings the SoundStation product to the next level with two extension microphones included. The SoundStation EX includes a standard analog phone line with extension microphones, and is recommended for 7-10 Participants. 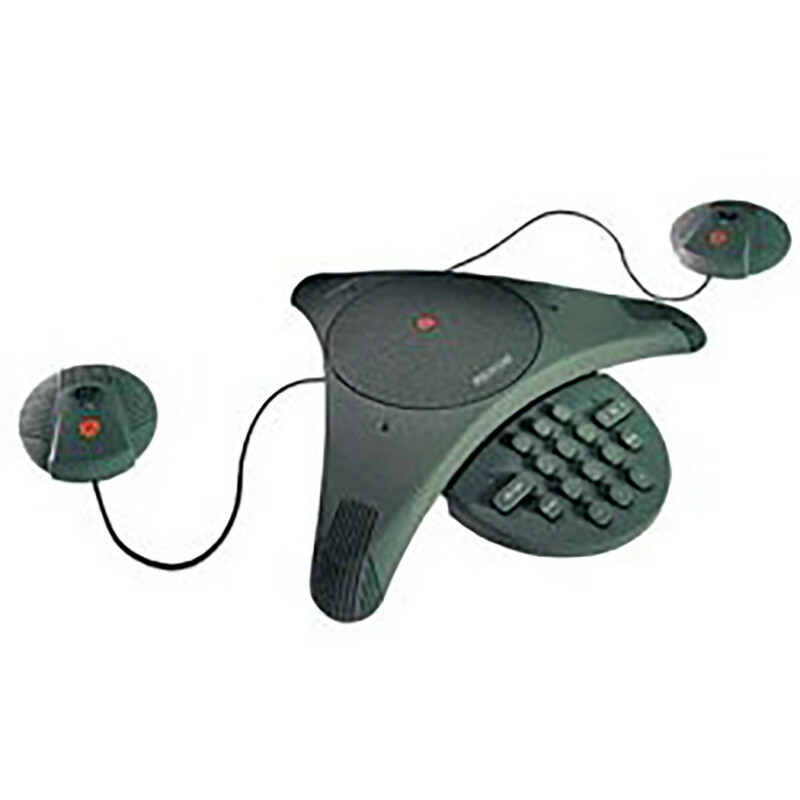 The Polycom SoundStation EX has three integrated microphones and 360 Degree pickup using proven technology. Full-Duplex capability allows the local and far sites to interrupt each other without hesitation inside a call for the best end-user experience. Experience full-duplex conferencing today. Refurbished Polycom Soundstation EX units include all required cables, accessories, remote installation assistance, on-call technical support, and a one-year warranty which covers repair or replacement by 323.tv.